A warm welcome to Katherine Marsh, whose fantastical novel Jepp, Who Defied the Stars comes out very soon! 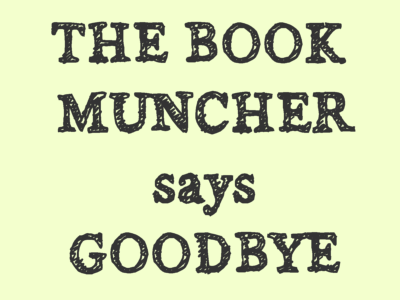 Greetings, Book Muncher and Friends! I’m the author of the new YA novel Jepp, Who Defied the Stars. A few interesting tidbits about me: I don’t like elevators, I used to write for Rolling Stone magazine, and I was raised by astrology. In the 1960s, my mother went to an astrologer who told her she’d have one child late in life, a girl and a Scorpio. Years passed, my mom grew older, and it didn’t look like she was going to have kids. But then she finally met a guy and, at 41, became pregnant. But there was one problem. The baby was due on November 22, the sign of Sagittarius. By this point, my mom really believed in astrology so when she got close to her due date, she used some natural remedies to kickstart her labor. I was born eleven days early on November 11, 1974, my mother’s only child, a girl and a Scorpio. As I was growing up, my mom continued to consult her ephemeris (a book showing the daily positions of the planets) and make decisions based on it. We cut our hair by astrology. She even selected the day I would take my SATs based on the stars! Because of this, I grew up with some conflicted feelings about fate and free will: Was my life written in the stars? Or, as the rational part of me claimed, was all this just baloney? How much are we the creations of our parents and our circumstances? How much is our destiny really our own? You’d think I’d have this all figured out by the time I was in my mid-30s but, if you’re a young person now, you may be surprised to find out how much of the same drama you’re still working out later. As an adult, I was basically a “lapsed astrologist” but I found myself checking the stars when I had to do something scary—like flying or giving birth (I have two kids). And so I decided to write a novel that would give me the chance to explore these big questions of fate and free will. Every good book is born of a passion and so I began to immerse myself in astrology and became fascinated by the time when many astronomers were also astrologers. One particular figure stood out: a 16th century Danish astronomer/ astrologer named Tycho Brahe. Brahe had a prosthetic nose, a collection of walking statues, a futuristic castle with running water, and a dwarf, Jepp, who sat at his feet. It was this Jepp, a footnote of history, who became my story and my vehicle for all these questions about fate and free will. Who was he and how did he end up with Tycho? What happened to him there? The result was an adventure/ romance/ coming-of-age story populated by characters both real and imagined and staring the year’s most unusual literary cast: a teenage dwarf hero, a giant, a Spanish princess, an eccentric astronomer, and a beer-drinking moose, to name just a few. At the end of the novel, Jepp comes to some conclusions about how much of our lives are determined by fate and how much of them we can control through our own actions. In writing the book, I did as well. But I won’t reveal my current stance on astrology. 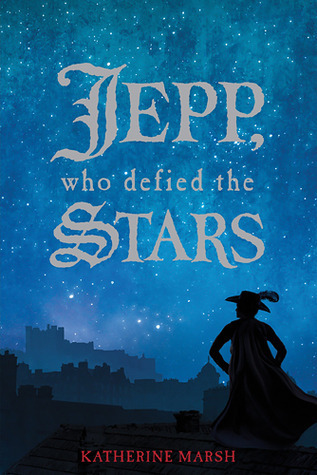 You’ll have to read Jepp, Who Defied Stars to find out. Contest ends 10/10/12, at 9 p.m. EST. Would love to read about Jepp and this unusual group of characters!